Home Casino Updates Spring winnings in bloom at Table Mtn. Spring winnings in bloom at Table Mtn. The majestic foothill blossoms are bursting into bloom and so are the winnings with the new $20,000 Spring Spectacular, found only at Central California’s Table Mountain Casino. Qualifying for the Spring Spectacular runs from March 5 through May 19 with only 40 virtual tickets needed to qualify for the big May 20 drawing. On Sunday, May 20, between 2 p.m. and 10 p.m., mystery envelopes containing between $350 and $1,000 will be given away three times per hour. Winners will be drawn at the top of the hour, the bottom of the hour and 15 minutes after the hour with Splash Pots at 45 minutes past the hour. The final 10 p.m. winner will receive the six remaining envelopes. There are also consolation prizes of $750, $500, $300, $200, $100 for the players with the most qualifying hours, not drawn. Players will find lots of fun and weekday winnings with the new TM Aces Cracked. Running Fridays from 8 a.m. to 6 p.m. and Mondays from 12 a.m. to 11:59 p.m., players who lose with pocket aces will choose an envelope containing a random prize amount between $50 and $500. Qualifying for the popular Chase the Joker Progressive Jackpot runs from Sundays at 6 p.m. until Sundays at 5 p.m. For every two hours of live play, players are awarded one virtual ticket. The drawing takes place weekly, on Sundays at 5:30 p.m., with the winner choosing an envelope. If the joker is drawn, the jackpot is won, otherwise the guest still receives $300 as a consolation prize, and if the guest is present, the consolation prize is $599. If the joker is not drawn, another $300 is added to the jackpot. With a great selection of games, Table Mountain Casino offers their players a full array of ways to win. 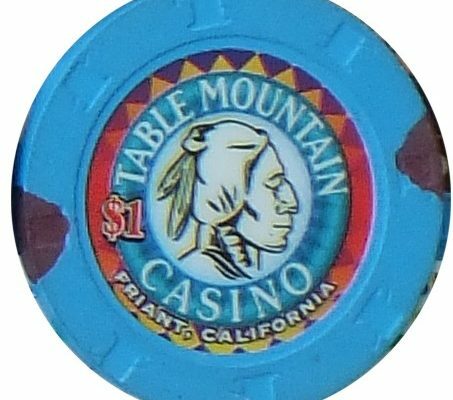 There’s the TM Spinning Mini-Mini, running from Tuesdays at 12:01 a.m. until Fridays at 8 a.m. Players who lose with a full house or better will earn a spin of the wheel and the winning hand also gets a spin. Prizes range from $50 to $100 with the possibility to win double. There’s also the TM $2,000 Tournament Fanatic Free Roll. Qualifying starts during the first tournament of the calendar month through the last tournament of the calendar month with a $2,000 Free Roll Tournament held on the first Saturday following the qualifying month at 12 p.m. Players can earn points through tournament entries, final table finishes and top three finishes. Only nine points are needed to qualify. The players’ favorite TM Royal Family Flop runs Tuesdays from 12 a.m. through Fridays at 8 a.m. Every time three face cards (kings, queens and jacks in any combination) come out on the flop, that table will earn a Splash Pot. Players can have a chance to win a $500 Splash Pot if all five community cards are faces. More favorites include the TM High Hand, which runs every day, 24/7. Hands are paid out every two hours and prizes range from $50 to $100. The TM Quick Cash Quads runs Saturday and Sundays from 8 a.m. to 4 p.m. Players who get a four of a kind with both hole cards playing will receive $100. For double the fun, there’s also the TM Tournament Double High Hands. Anyone who buys into the tournament will get paid double on any TM High Hand won that night. Table Mountain Casino’s Tournaments offer plenty of action and run every Tuesday, Wednesday and Thursday at 7 p.m. with a $10 bounty on Thursdays. The Poker Room at Table Mountain Casino is renowned for being a favorite place to play poker and offers amenities for all. Featuring a smoke-free atmosphere, table-side dining and big screen TVs, players come from all over Central California to enjoy this friendly place to play and win. Log into BRAVO, then come up and get all decked out with your chances to win. For all rules, go to www.tm casino.com or just stop by the Poker Room. Must be 18 years of age to game.